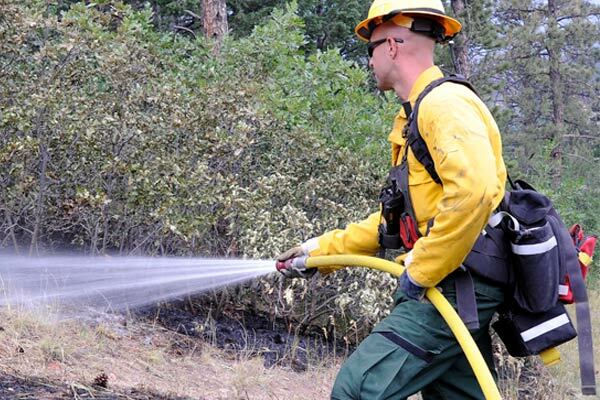 The industry’s most durable and lightweight, high pressure booster hose featuring a highly abrasion and heat resistant single jacket polyester cover. 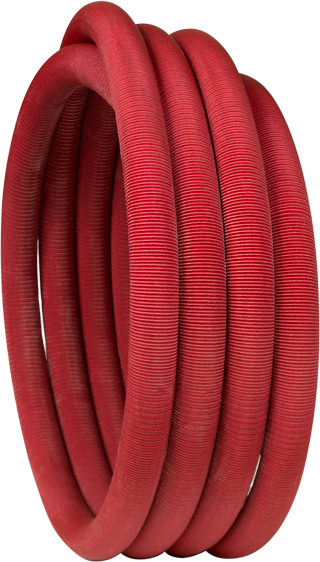 Uniquely constructed using an interior helical reinforcement offering unmatched kink resistance that maintains hose shape and performance. Designed for use with most low-profile reels and skid units and available in lengths up to 200'. Uniquely constructed with an all polyester single jacket cover for heat and abrasion resistance, along with a special helical interior reinforcement to retain its rigid shape. All over a thin-walled, extruded polyurethane for age, ozone and chemical resistance. Reel Lite is treated with a special “Key-Lok” polyurethane based polymer impregnation for enhanced color and added abrasion resistance. Reel Lite comes standard with field replaceable coupling with a one inch NH thread standard. Aluminum internal expansion ring coupling available upon request. The minimum burst test pressure, when tested in accordance to NFPA 1961, on Reel Lite hose shall be 1200 psi / 82 bar. Acceptance test to 800 psi / 55 bar. Minimum service pressure of 400 psi / 27 bar. Reel Lite hose has a warranty of 1 year against defects in material and workmanship.